There are three kinds of energy-saving lamps on the market see, is a lamp, halogen powder is a kind of pure trichromatic lamp, another is somewhere between the mixed powder light between the two. Energy-saving lamps in the true sense refers to the use of rare earth tricolor phosphor powder as raw materials to develop into the energy-saving lamps and lanterns, namely pure trichromatic lamp, it can use an average of 5000 hours, five to eight times that of ordinary light bulb, some well-known brands such as philips and other energy-saving lamps use time more than 6000 hours. Although halogen powder, light and energy saving products, but compared with tricolor phosphors energy-saving lamps, the photosynthetic efficiency and life all want to sell at a discount greatly, the energy saving effect is only half the tricolor phosphors energy-saving lamps. Have dealers, according to the previous dominant on the market are pure tricolor energy-saving lamps or sanki toner larger proportion of mixed light, but now changed, halogen powder light accounts for almost half of the market share in the market, the price on the market at present is the cause of most of only a few yuan energy-saving lamps halogen powder lamp, the lamp price is low, but life is much less than the pure tricolor energy-saving lamps. Previously, the mixed powder only two proportion, namely 5:5 (pure tricolor phosphor powder and the proportion of halogen powder, hereinafter the same) and then, because of the price hike in rare earth, halogen powder, the cost of less than 1/10 of the tricolor phosphors. Bad manufacturers adjust again the proportion of raw materials, the mix proportion of 1:9, with such a mixed powder made of energy-saving lamps, even if the ex-factory price or retail price only a fraction of a pure tricolor energy-saving lamps but there is still a big profit space, and the mixed powder lamp with pure tricolor energy-saving lamps look almost it is difficult to identify, but life is very different. And some manufacturers to cut corners on other parts, energy-saving lamps of flame retardant is high temperature resistant, but not many manufacturers have adopted flame retardant plastic accessories, so that a light can also save the cost 0.5 1 yuan, or energy-saving lamps and even saved insurance tube, even outside bile lime material, a variety of electronic components, etc., are likely to be adulterated. 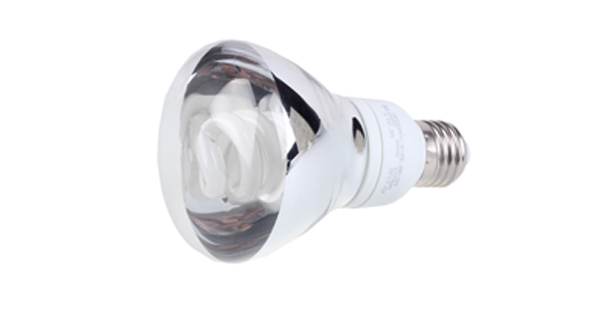 So when choosing energy-saving lamps, to choose and buy high quality energy-saving lamps manufacturers products.